On Saturday we went to IKEA headquarters for an excursion. It was fun. We did some shopping too. We also stopped at the Immigrant Museum, but I was not able to appreciate it. This is some random lake at a stop on the way to the IKEA shop. Pretty. 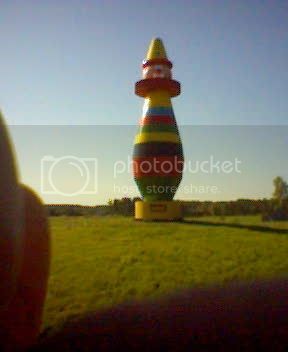 This is an 8.5 meter clown, indicating the city of Osby where some huge toy factory is located. We stopped by some farmers market and saw a mushroom stand there. Please note the size of this giant – if you ask me, it was imported from Chernobyl and should glow in the dark. 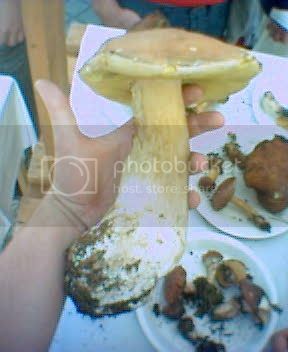 Yes, it is my hand holding it and yes, the mushroom is over 40 cm tall. 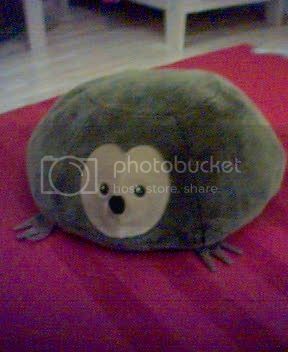 And here is the one and only picture from IKEA – a hedgehog shaped floor pillow. I can’t import it, but I think it is quite a thing to have. And that’s all! I was zombified during the trip, so I don’t recall much more. I just saw a hedgehog on the street!!! Зря отговорила! Купи конечно! 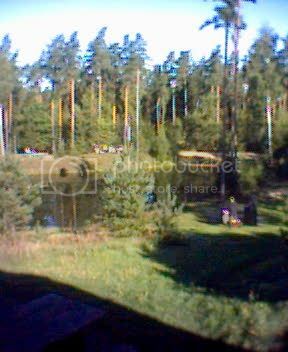 Если поедешь к нему в гости - то на новоселье, а если нет - то на новый год или что-то типа того. Судя по времени - сам нашёл. Или емейлу прислало? sam nashel... a potom proveril email... vo ia tormoz..
Ничего, ничего. Кстати - рекомендую поставить фильтр на ЖЖ емайлы и кидать их в специальный фолдер. У меня за один только сегодняшний день 29 комментов и до конца дня ещё 5 часов - американские читатели ещё только просыпаются.